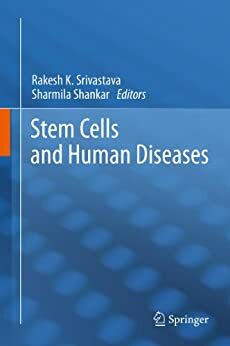 The main objective of this book is to provide a comprehensive review on stem cells and their role in tissue regeneration, homeostasis and therapy. In addition, the role of cancer stem cells in cancer initiation, progression and drug resistance are discussed. The cell signaling pathways and microRNA regulating stem cell self-renewal, tissue homeostasis and drug resistance are also mentioned. Overall, these reviews will provide a new understanding of the influence of stem cells in tissue regeneration, disease regulation, therapy and drug resistance in several human diseases. There have been major advances in understanding the behavior of stem cells and their roles in tissue regeneration, homeostasis and therapy. Cancer stem cell hypothesis opened a new opportunity for treating and preventing cancers by targeting cancer stem cells or cancer initiating cells. An increased understanding of stem cell behavior and biology along with rapid advancement of high throughput screening has led to the discovery and development of novel drugs that control stem cell self-renewal and differentiation. In near future, these molecules will be very useful for treating and preventing several human diseases. While progress on the clinical front has been slower than desired, the use of stem cells for tissue regeneration and disease management has great potential in human health. The first decade of the 21st century has brought with it significant progress in our understanding of stem cell or progenitor cells and their role in tissue regeneration and management of human diseases including cancer, neurodegenerative disorders, and heart diseases. This book covers the current state-of-the-art knowledge on the role of stem cells in tissue regeneration, homeostasis and disease management. Coverage of the biology of stem cell and their role in tissue regeneration and organogenesis. Mechanism-based strategies for stem cell self-renewal and differentiation. Role of cancer stem cells or tumor initiating cells in cancer initiation, progression, relapse and drug resistance. Use of stem cells in treating several human diseases, such as Alzheimer’s disease, Parkinson’s disease, cancer and diabetes.